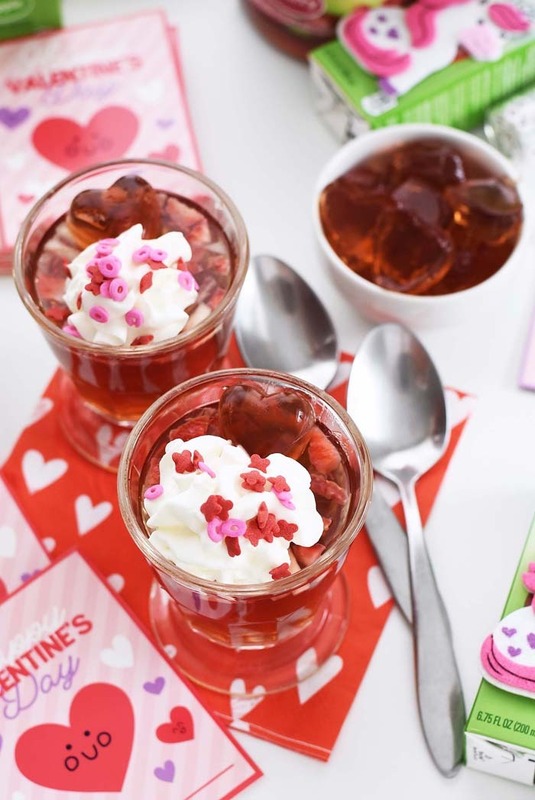 These tasty real fruit gelatin cups are a perfect after school snack for Valentine’s Day. 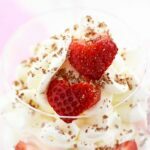 They feature Juicy Juice 100% Juice and fresh strawberries with a festive dollop of cream. We are Juicy Juice Ambassadors. All tasty views expressed are that of our own. Valentine’s Day is about 2 weeks away. My, has time flown by this year! Pretty soon it will be Spring and that really makes my little heart smile! But, for now I will chug through winter knowing it is almost halfway done…hopefully. 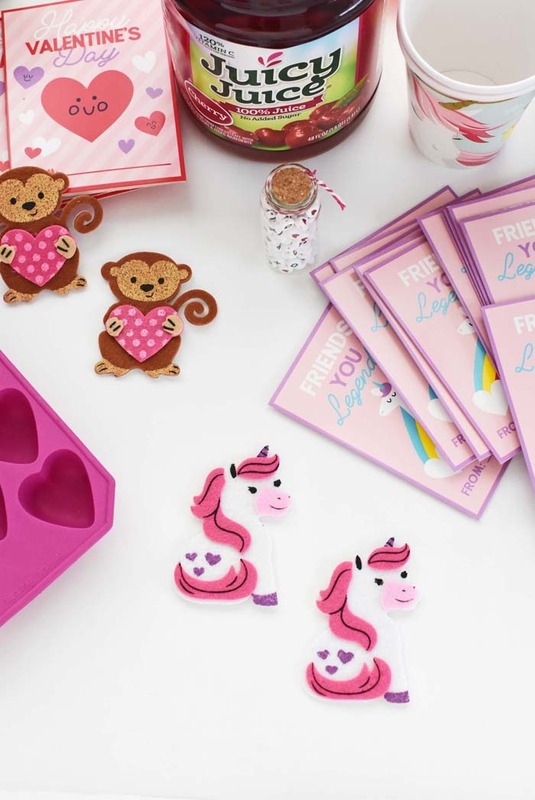 While we all know Valentine’s Day is referred to as a commercial holiday by some, I still love to make my kiddos feel a tiny bit extra loved with some down right adorable treats & trinkets. 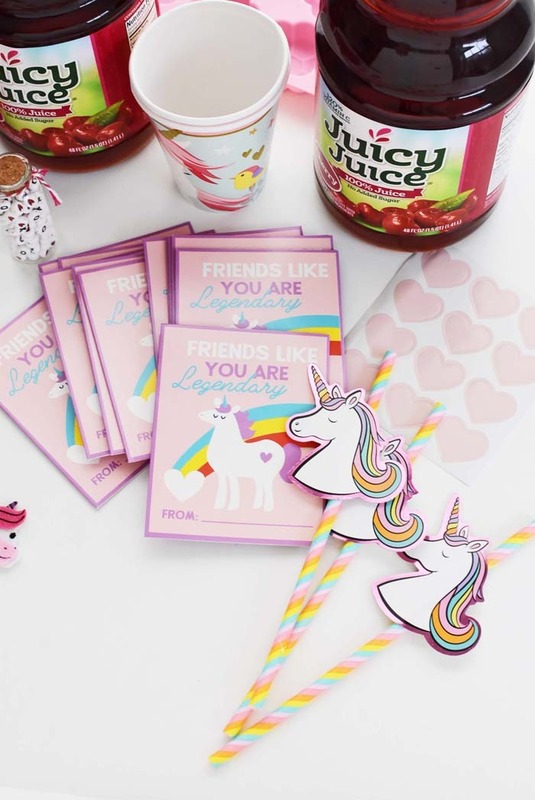 Yes, I am the mom that tucks Valentine’s Day napkins into lunch boxes with Valentine’s Day stickers on their Juicy Juice 100% Juice boxes. I love doing stuff like this because I am all about the cuteness. Can you tell I was an elementary school teacher? My kids love baked goods, but I wanted to make them something a lot more nutritious so I decided that Real Fruit Juice Gelatin Cups were ideal. Our 3 kiddos love gelatin desserts, fruits like strawberries, and of course their daily cup of Juicy Juice 100% Juice. They never discriminate on the flavors and know this juice is super wholesome. As a mom to 3, the last thing I want is for my kids to rot their teeth with highly sugary drinks. I didn’t grow up that way and I do not want my kids to. 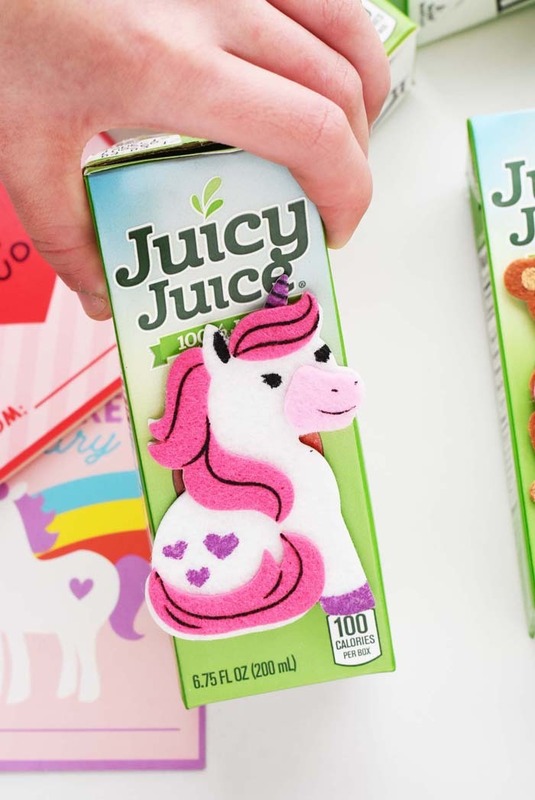 I love that Juicy Juice 100% Juice has no added sugar, 8-ounces= 1 cup of fruit, and the fact that there is 120% Vitamin C in every 8-ounce serving. 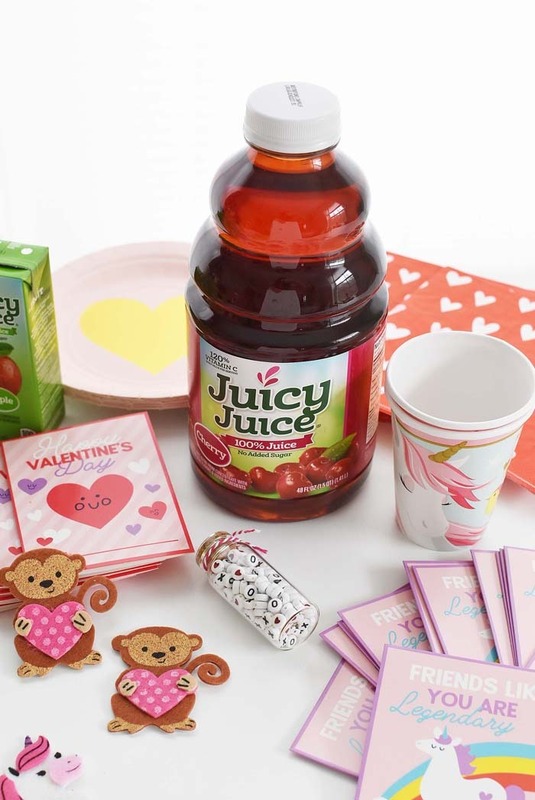 Plus, Juicy Juice 100% Juice boxes are so convenient and are the perfect size for lunch box Valentine’s Day treats. I tucked an adorable sticker on each to make my kids smile! Normally when making gelatin, I buy the popular brand which is easy peasy to prepare. But, I wanted something more nutritious for the kids so I decided that the base of my gelatin cups would be Juicy Juice 100% Juice in Cherry flavor. To turn the juice into a wiggly treat, I used 4 packages of plain gelatin powder. I heated (3) 8-ounce cup of Juicy Juice 100% Juice (Cherry) until the came to a boil. Once they were near a boil, I added 1 cup of cold juice into a large mixing bowl, and all the packets of gelatin were poured over the top of it. Within a minute, the juice was jelly-textured. Then, I poured the hot juice over the cool and stirred for 5 solid minutes until the mixture was thin and fully dissolved. After, I poured the thin, hot mixture into cups with chopped strawberries and molds *see below. 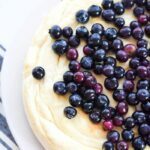 When making my first batch of this treat I experienced a learning curve that I want to help you prevent. My biggest piece of advice to make sure your gelatin does not stick to the molds is to spray them with non-stick spray. 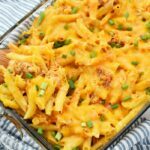 I skipped this the first time and created a disaster!! You also have to wait until your gelatin is fully chilled (about 4 hours). 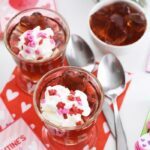 You can make these fruited gelatin cups any time of the year, but I wanted to add some Valentine’s Day fun to ours. I topped my kid’s cups with whipped topping a some Valentine’s Day sprinkles. 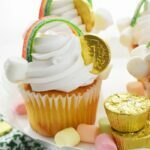 This made for a fun treat that they loved! 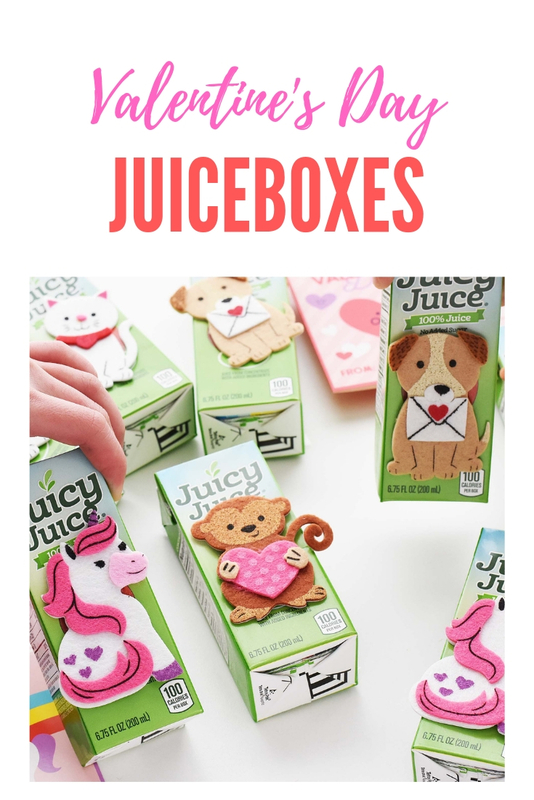 As you can see, I easily turned these Juicy Juice 100% Fruit Juice apple juice boxes into adorable Valentine’s Day themed lunch box faves! 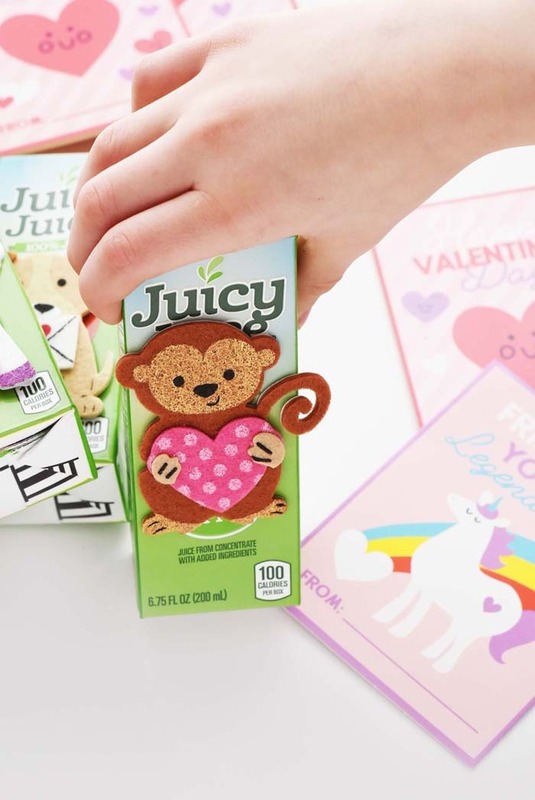 I purchased felt Valentine’s Day animal stickers and adhered them to the juice boxes–easy peasy! 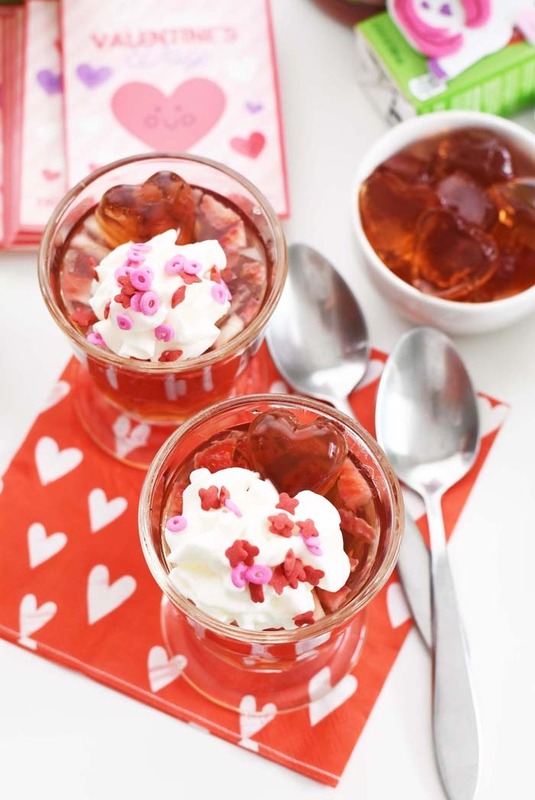 Get the printable recipe for these Fruit Juice Gelatin Cups with Sweet Strawberries Below! 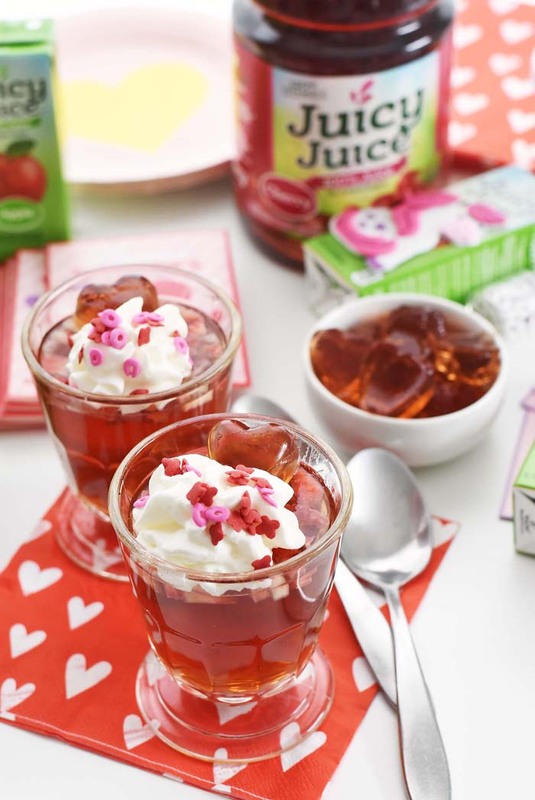 A wholesome, fruit-based gelatin snack for kids that is sure to make them smile. Place 3 8-ounce cups of Juicy Juice 100% juice in a small stockpot and bring to a boil. Add 1 cup of cold juice to a bowl, and carefully sprinkle ALL 4 packets of gelatin over the top. The juice will turn into a jelly consistency. 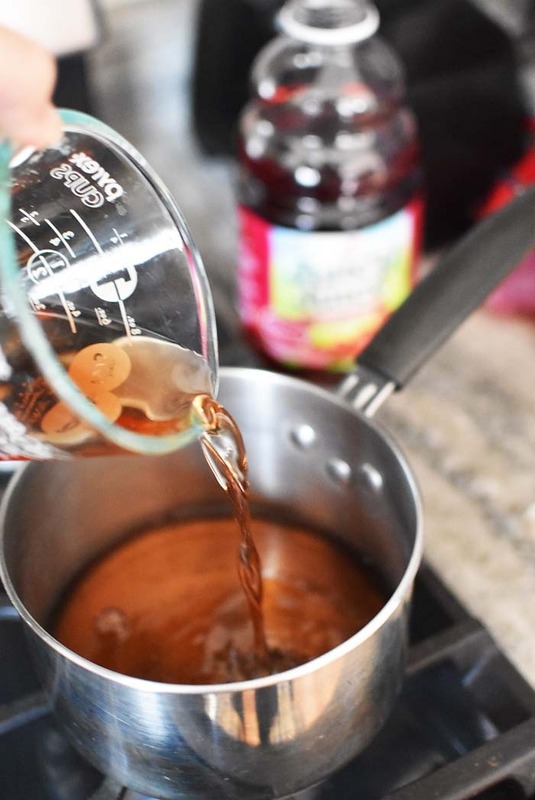 Pour heated juice over the top and add chopped berries to the gel-like juice, and stir for 5 minutes until liquid is thin. Once fully mixed, carefully pour warm liquid into your cups or GREASED molds (to prevent sticking). Cover containers and allow them to chill and firm for 4 hours. Served with whipped topping (optional) and sprinkles. I can’t think of a better way for kids to enjoy their fruit and juice than these gelatin cups. This inspires me to do a little extra for my kids this Valentines! What a sweet and loving gesture for the kids this Valentines Day! I could see my kids loving these fruit juice cups! What a fun way to celebrate Valentine’s Day. 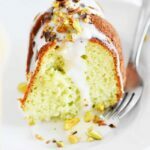 I’ll have to try to make these as a little surprise for my kids. Making a few of these for Valentine’s Day should be fun. They look super cute with their toppings! These gelatin cups are so much fun! I love that they’re made with 100% juice and include actual pieces of fruit. Yum! This gelatin cups are awesome! My kid will go crazy over these. We even can create different flavors. It will be fun! I love juicy juice! This is so cute! I will try these for my daughter’s class party! These are the cutest! My youngest daughter would love to bring these in to share for Valentine’s Day!